Sitting is the new smokingTM. So why do you let your employees sit all day? Get employees active at their desks, throughout the day. 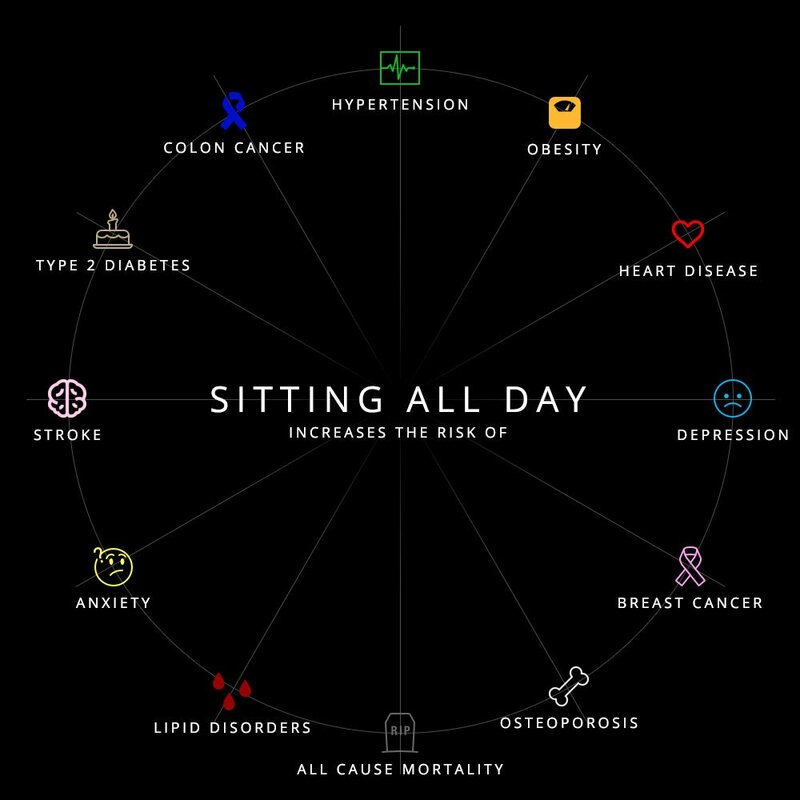 Introducing the UtiliFIT Activity Engine, a patent-pending technology that disrupts sedentary behavior with small physical challenges spaced at medically-recommended intervals throughout the day. Healthier employees in 2 minutes per hour. Research shows that even just a minute or two of activity an hour is enough to keep the body from entering its “sedentary” mode. Not only do UtiliFIT players lower their risk for a host of chronic illnesses, but players report that they feel more energetic, concentrate better and are more productive. 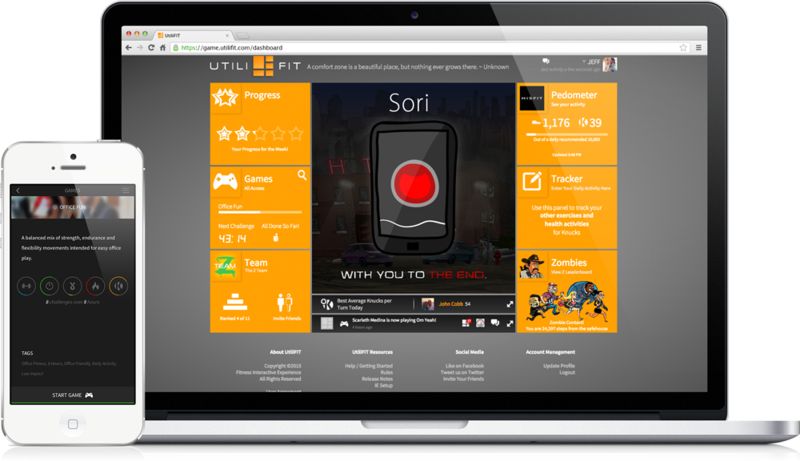 A Step Ahead runs on the UtiliFIT Activity Engine. Walking is just the beginning… daily desk activity games, diet, exercise and lifestyle tracking, and the UtiliFIT Progress System add daily benefit to A Step Ahead challenges far beyond simply walking. 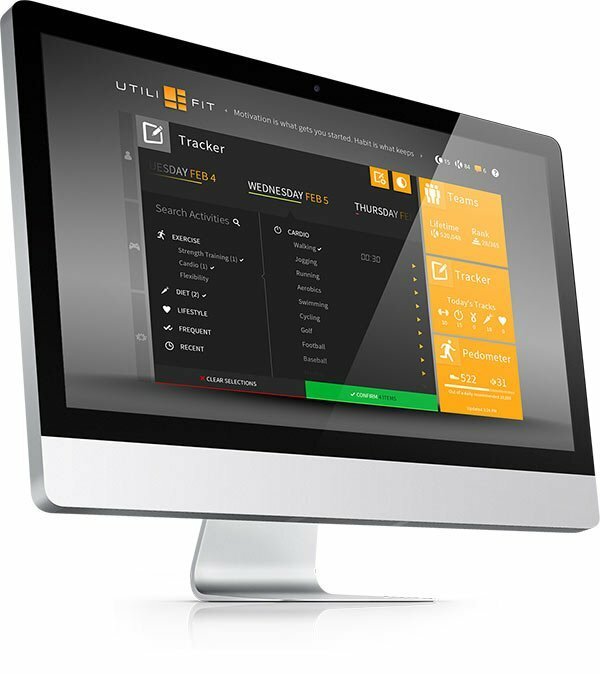 Even though A Step Ahead challenges only require steps, over 89% of players actively choose to play UtiliFIT desk activity games or track healthy diet, exercise and lifestyle activity in the UtiliFIT Tracker for extra points in their A Step Ahead challenge.